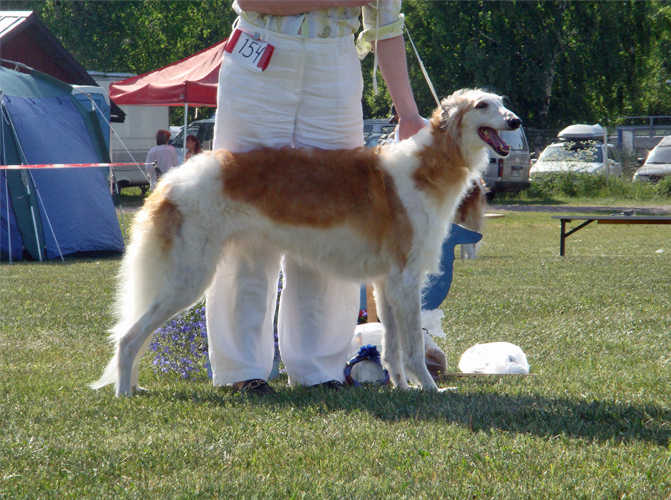 Zorka was known as Minttu. 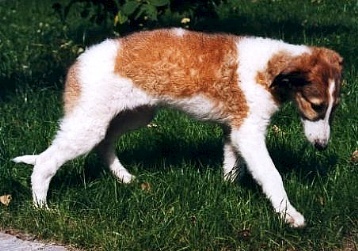 She was a white and red female born in June 10th 1999 and died in July 2nd 2010. 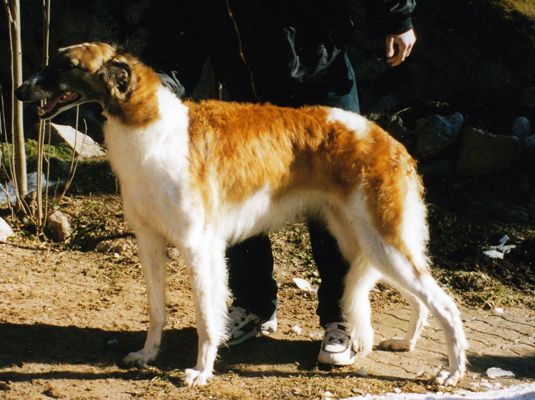 Minttu's dad is FI & SE Ch Bolshajan Barishnikov and her mom is Zavlada. 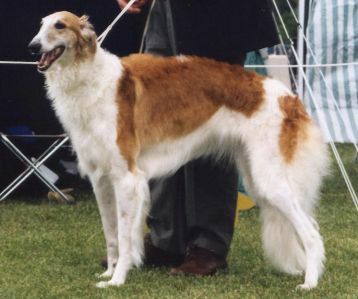 Minttu's complete pedigree can be found on her page in The Borzoi Files. Minttu, was born in Estonia, with Sergei and Roman Kohtov. Minttu was very pretty, moving very fluently. She was a bit shy lady and did not like shows at all. Still she received two CAC. 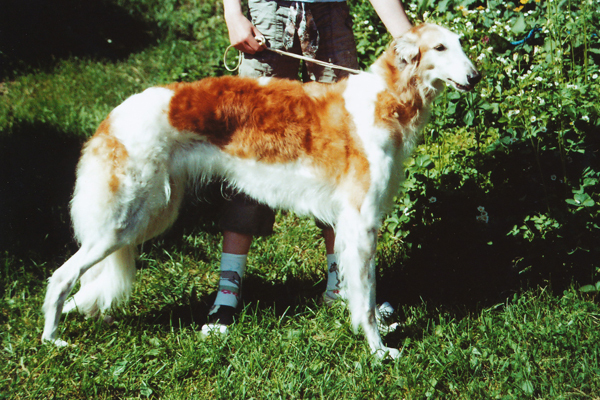 Minttu is the dam of Bolshajan E-litter. "Excellent type. Very well presented. Lovely size. Beautiful head and expression. Excellent ears. Good neck and topline. Excellent angulation behind, little bit straight upperarm." (Anita Gielisse, 2003).